Water views galore! Welcome home to this newly renovated three-bedroom, two-bath pool home. Located in sought-after Jacaranda West, this home boasts new custom wood kitchen cabinets, granite countertops, stainless steel appliances and more. New windows and roof were installed in 2013 and there is new paint inside and out, with rich real wood floors in all three bedrooms. This home is re-piped and has new duct work and so much more. Enjoy the spacious split floor plan and take advantage of the pass-through window to the lanai for your favorite beverages and eats. Need to relax? Just exit out to your roomy covered and screened lanai and float in your sparkling salt system pool, while positioning yourself for nature's show on the lake. This residence is located within minutes of YMCA, library, dog park, Venice Gardens community clubhouse and pool, quaint downtown Venice, the beaches, with quick access to I-75. Play golf and tennis at the Jacaranda West Country Club with a voluntary membership. Docks and boats are allowed or you can take a short drive to the public marina boat ramp. This residence is move-in ready and impeccably maintained. No fuss, no muss and furniture package can be purchased as a separate bill of sale. 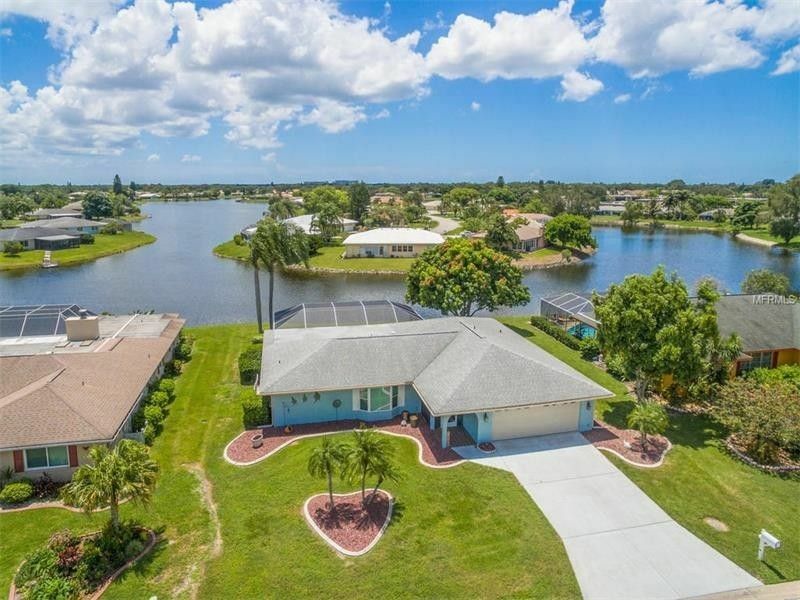 It is priced to sell quickly, make your offer to start living the Florida lifestyle now. Click on the virtual tour to see more photos. Driving Directions: US 41 ByPass to east on Center Rd. to right on Shamrock Blvd. to left on N Gondola Drive.